Research Interest: Functional thin films; Lithium ion batteries; nanocomposite; Plasmonic materials; Biomaterials. Biography: Dr. Jian Xiong currently working as a lecture in Hubei University of Technology, China. Meanwhile, he also served as a research associate in The Chinese University of Hong Kong, Hong Kong. He obtained his PhD in Institute of Materials, University of Kiel (Germany). 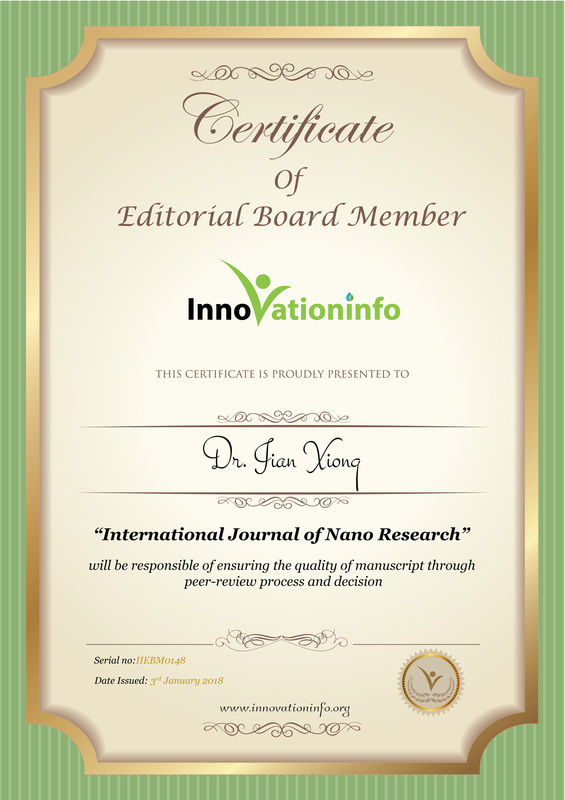 He has over 15 publications in peer reviewed journals and several patents to his credit.